Jakarta, March 17th 2014 – Korean Culture Alliance proudly presents 2014 Kim Soo Hyun Asia Tour 1st Memories in Indonesiaat Skenoo Hall Gandaria City – Jakarta, Indonesia on April 25th, 2014. “We are pleased to announce to all Kim Soo Hyun fans in Indonesia that the multi-talented artist will meet his fans in Indonesia this April,” said Seong Shihoon, Managing Director of Korean Culture Alliance (KCA) Indonesia. 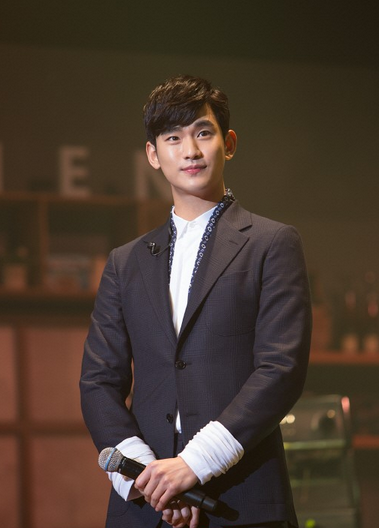 2014 Kim Soo Hyun Asia Tour is the first solo tour by Kim Soo Hyun, he will meet fans in a total of nine cities across seven countries around Asia. He will kick off his fan meeting tour in Seoul on March 16th, and move into Taiwan, China (Beijing, Shanghai, and Guangzhou), Japan, Singapore, Thailand and Indonesia. 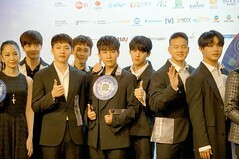 The tour has received positive response from fans, with tickets sold out within 30 minutes in Taiwan, 5 minutes in Seoul and 5 minutes in Thailand. 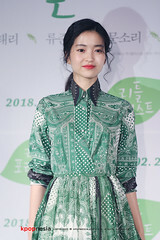 His visit to Indonesia, surprised all fans in the country, as Indonesia had not been listed in the initial tour plan announced by Kim Soo Hyun’s management: KeyEast last February. “KCA is very excited to get positive feedback from KeyEast to add the date of Kim Soo Hyun 1st Asian Tour for his Indonesian fans and to trust KCA as the promoter for his tour in Thailand and Indonesia,” added Seong Shihoon. KCA is the promoter for Kim Soo Hyun Asia Tour 1st Memories in Thailand. In line with the tour’s title: “1st Memories in Indonesia”, the 26 year old heart rob is set to come to Indonesia for the first time ever to enchant and create memorable experience in Indonesia by interacting with fans and singing a number of songs. “KCA is ready to make this fan meeting a memorable experience for all Kim Soo Hyun’s fans and other Korean drama fans in Indonesia. We believe 2014 Kim Soo Hyun Asia Tour 1st Memories in Indonesia is a must-see-event for all Korean drama lovers in Indonesia,” Seong Shihoon added. Born on February 16, 1988, Kim Soo Hyun debuted as an actor in 2007 and has grown into one of the most accomplished young Korean actors by continuously casting in major hit dramas and movies, as well as major brand endorsement deals. He stole teenagers’ heart as an idol star from ‘Dream High’ (2011), embraced women’s hearts with his performance as the King on “Moon That Embraces The Sun” (2012) and proved his acting skills on action movie ‘The Thieves’ and ‘Secretly, Greatly’ (2013). His latest drama “Man Who Came From The Star” has become a global hit. His stardom and influence overseas is already way beyond people’s expectation. Korean Culture Alliance – Headquartered in Bangkok, Thailand, Korean Culture Alliance is an entertainment company dedicated to expanding Korean Culture and Hallyu Wave to Asia and beyond by poviding content distribution, event management, entertainment business and publicity services. Korean Culture Alliance is also the partner for Korean Copyright Commission, Korean Government and Korea Creative Content Agency for various research and report related to Korean Wave and Content in Thailand.Since its establishment in 2011, Korean Culture Alliance has managed various Korean themed events in Bangkok and Asian countries, including tvNStarhunt audition, The Bangkok Korean Film Festival 2010, Korea Entertainment Expo, 2012 MBC Korean Music Wave, BtoB fan meeting as well a Kim Kibum Fan Meeting in Thailand, Hong Kong, Singapore, Taiwan & Shanghai. This year, KCA is bringing Korean heartrob Kim Soo Hyun to Thailand and Indonesia, which marks KCA’s expansion to Indonesia. Reblogged this on Lee Minho's Heart.